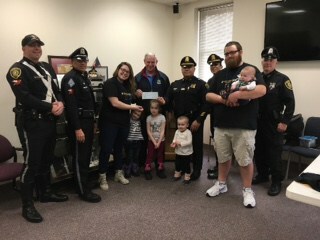 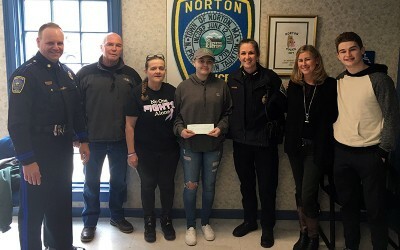 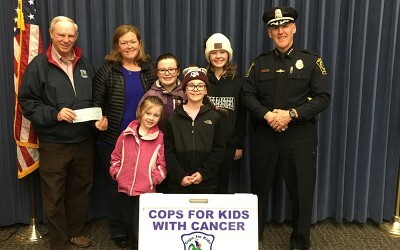 On Thursday, March 29, 2018, Cops for Kids With Cancer went to the Clinton Police Dept. 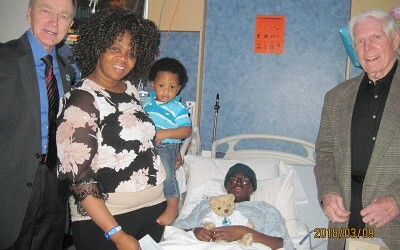 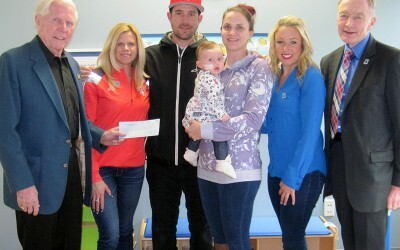 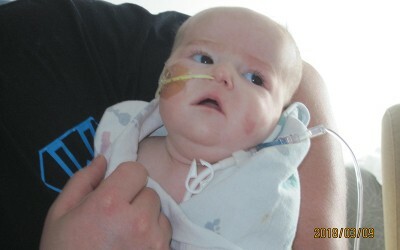 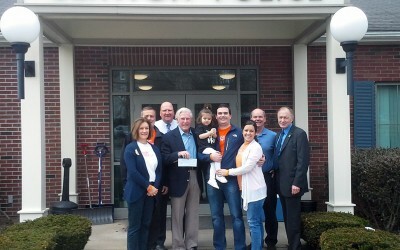 and made a $5,000 donation to the family of Cayleigh Gilroy, a 3-year old female with ALLL cancer. 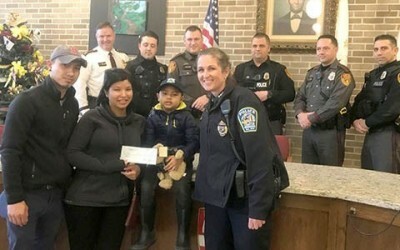 Captain Philip Gould and members of the Lincoln, RI Police Department look on as 6 yr. old Austin Chea and his family receive a donation from President Helena Rafferty of Cops for Kids with Cancer on March 19, 2018. 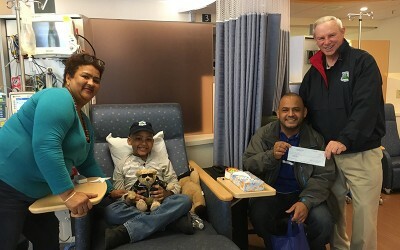 On February 21st, 2018, Mike Weir of CFKWC made a donation at Dana Farber to Emilio Tejeda and his parents, Maria and Luis.